Dublin is the capital of Ireland and is officially known in Irish Gaelic as Baile Átha Cliath (pronounced Ballya – Aha – Clia). Originally founded as a Viking settlement in the 8th century, the city has gone through many transitions over the centuries. Dublin has grown into one of Europe’s centres for industry and the sciences, and it earned the prestigious honour of being named the European City of Science in 2012. Though the city has a rich history, its youth and vibrancy offer many attractions to its visitors. Trinity College Dublin, book a visit and see the Book of Kells. Hugh Lane Gallery and the Writers Museum. Visit with free admission! Dublin Spire on O’Connell Street. Enjoy the architecture of Dublin’s many historical buildings and Georgian squares. St. Patrick’s Cathedral, a holy site that has been a place of spiritual encounter for countless generations. 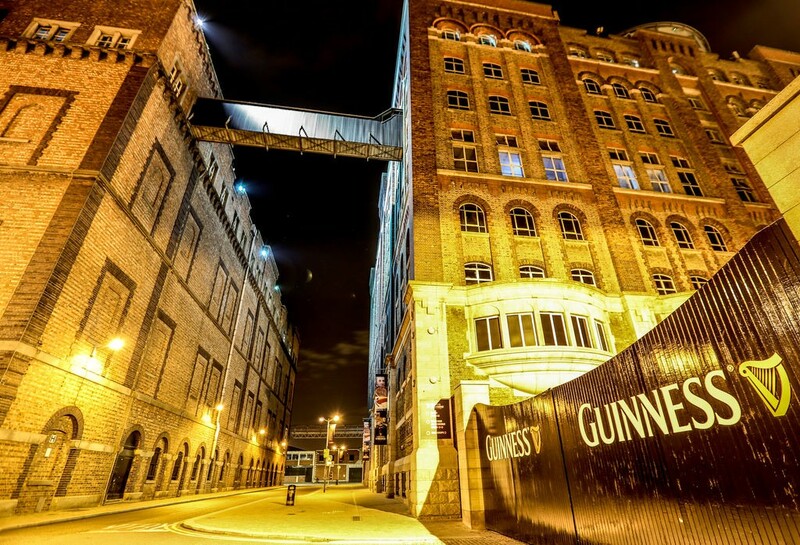 Guinness Storehouse, the home of Guinness, served in pubs around the world. Visit the National Gallery of Ireland, one of the world’s exciting places to encounter art. Visit The Little Museum of Dublin, which tells the remarkable story of the Irish capital. Walk through Temple Bar, an area on the south bank of the River Liffey in central Dublin, home to the city’s cultural quarter that hosts a lively nightlife. Explore Dublin Castle, a historical landmark erected in the early thirteenth century on the site of a Viking settlement. Dublin Castle served for centuries as the headquarters of English, and later British, administration in Ireland. Grafton Street, Ireland’s world-famous shopping street. Dublinia, a heritage centre about Dublin’s Viking past. Gaiety Theatre has given the people of Dublin opera, musicals, drama, revues, comedy, concerts, dance, festivals and pantomime for over 145 years.